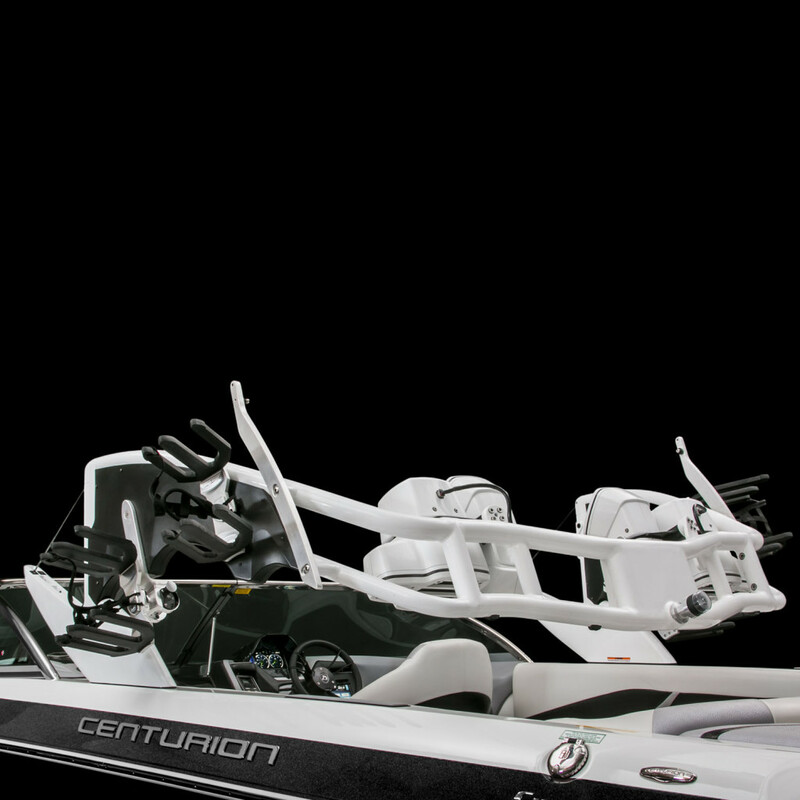 Centurion’s Integrated Composite System (ICS) starts with three large hand-laid fiberglass structures (hull, top deck and stringer system). 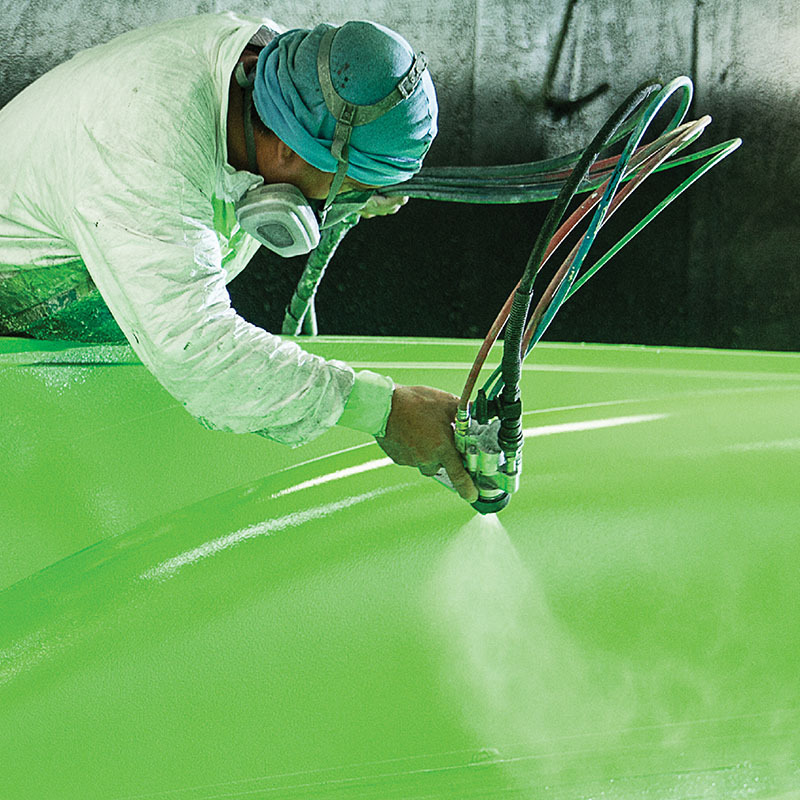 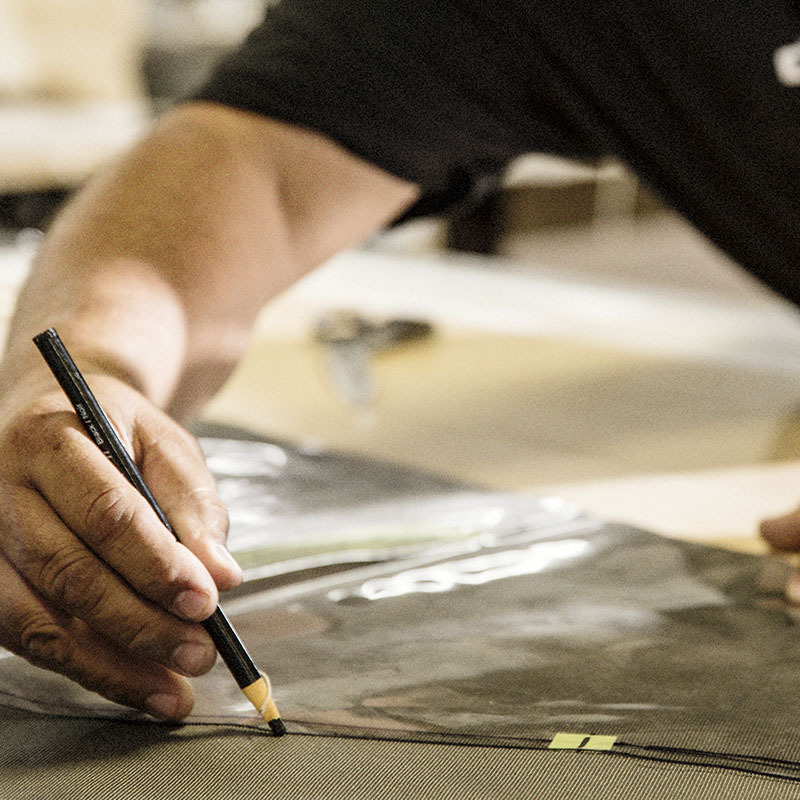 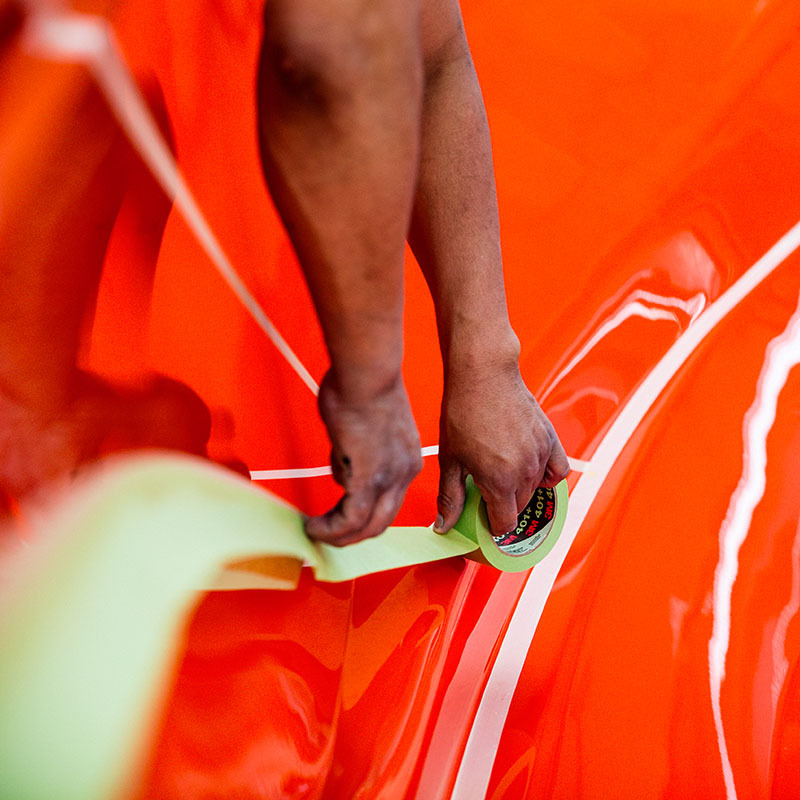 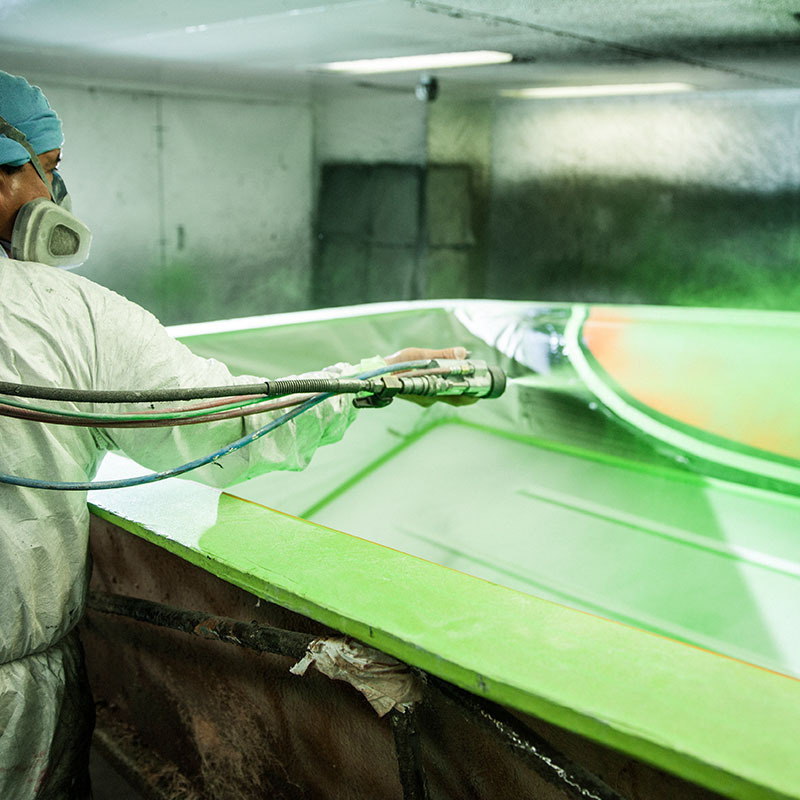 The hull is laminated using a precise resin control system, eliminating inconsistencies and excess material. 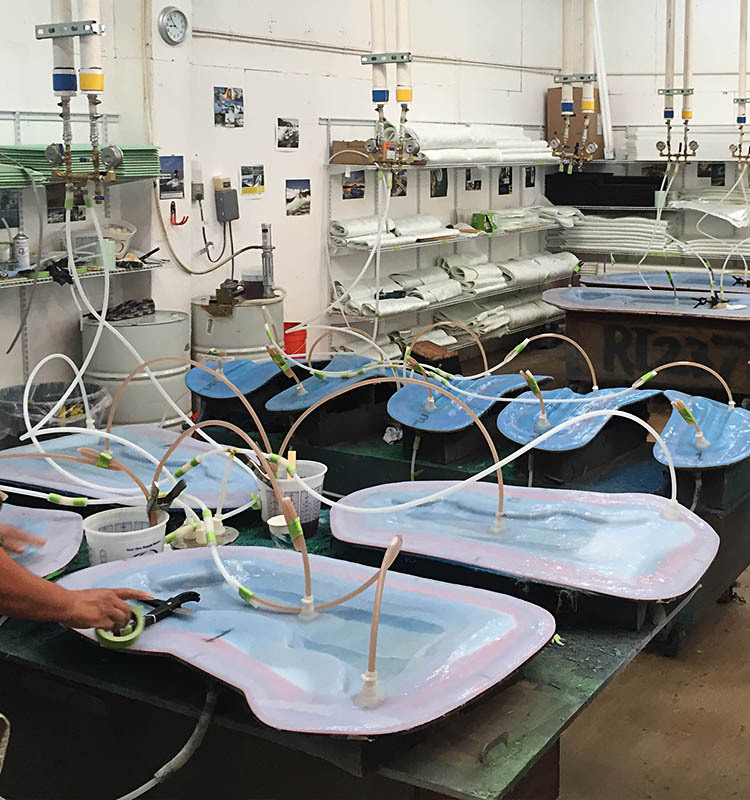 The new Ri Series boats utilize an all new Vacuum Bag process where resin is infused into the fiberglass in a way previously not possible. 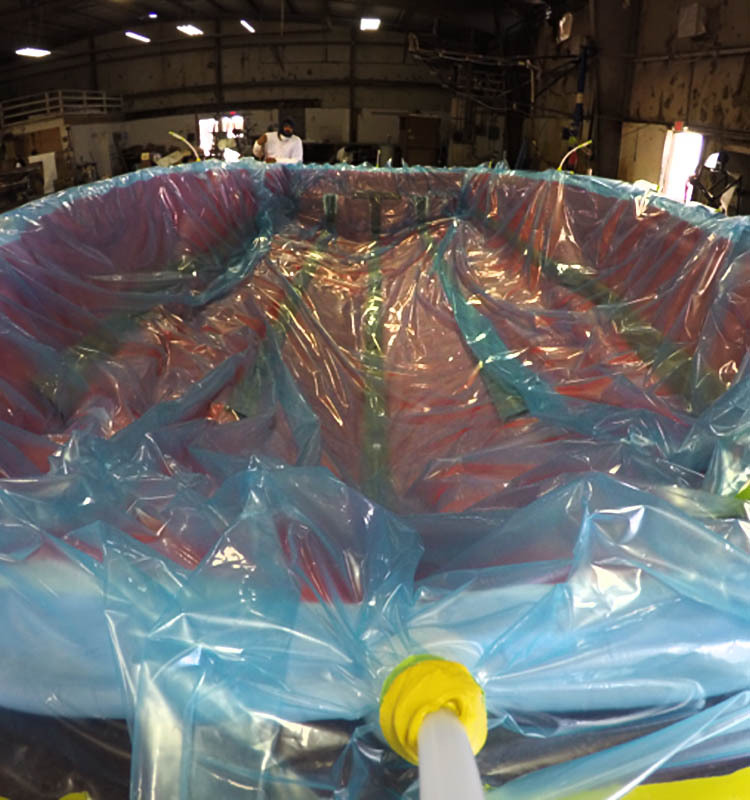 The result of this new Vacuum process is fiberglass that is compressed with less overall volume but increased strength compared to a traditional fibreglass layup. 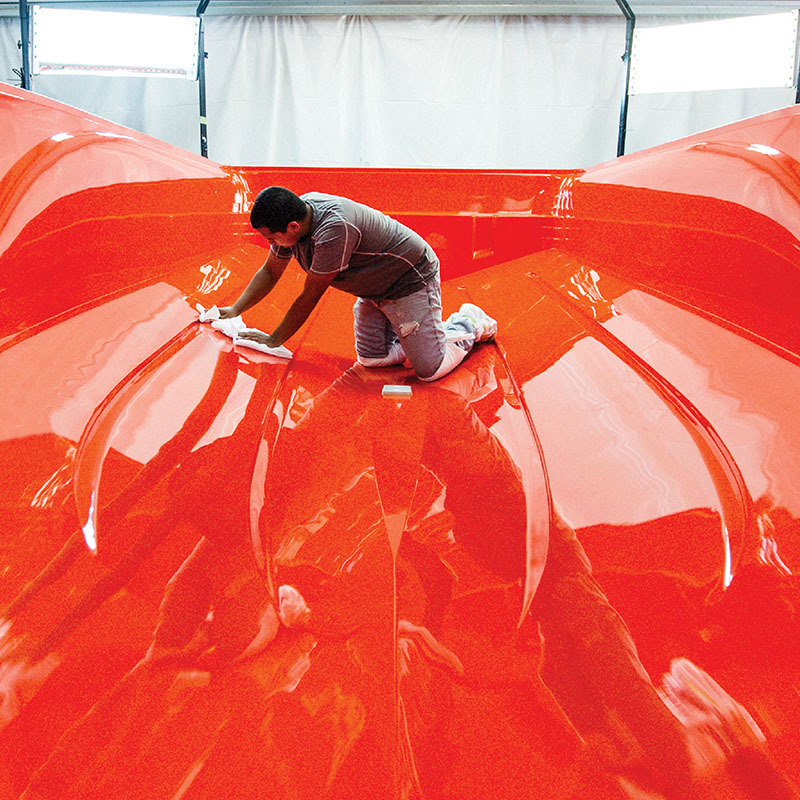 The hull and other components are stronger and more resistant to flex and vibration. 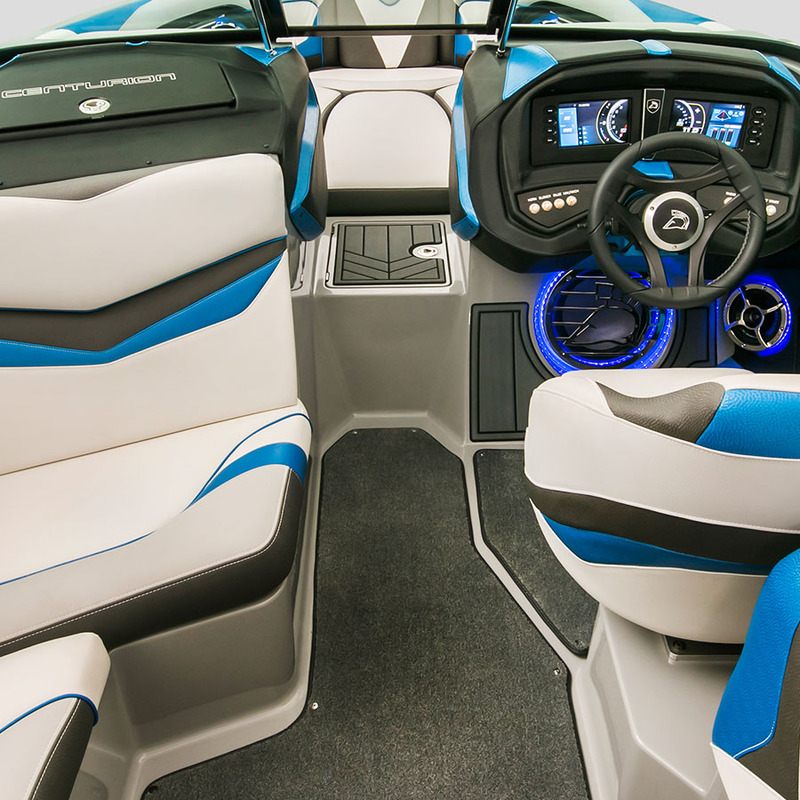 The top deck, which includes the floor, seat bases and gunnel (basically everything above the rub rail and the interior glass of the boat) make up the 3rd major piece in the ICS system. 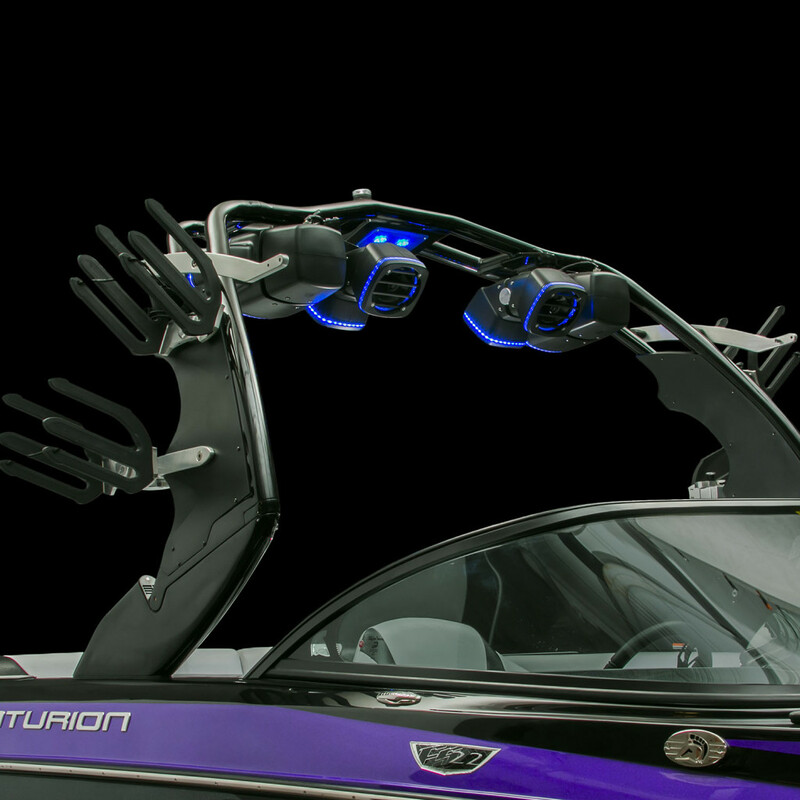 This top deck is connected to the hull with Plexus using a unique reverse-shoebox fitting. 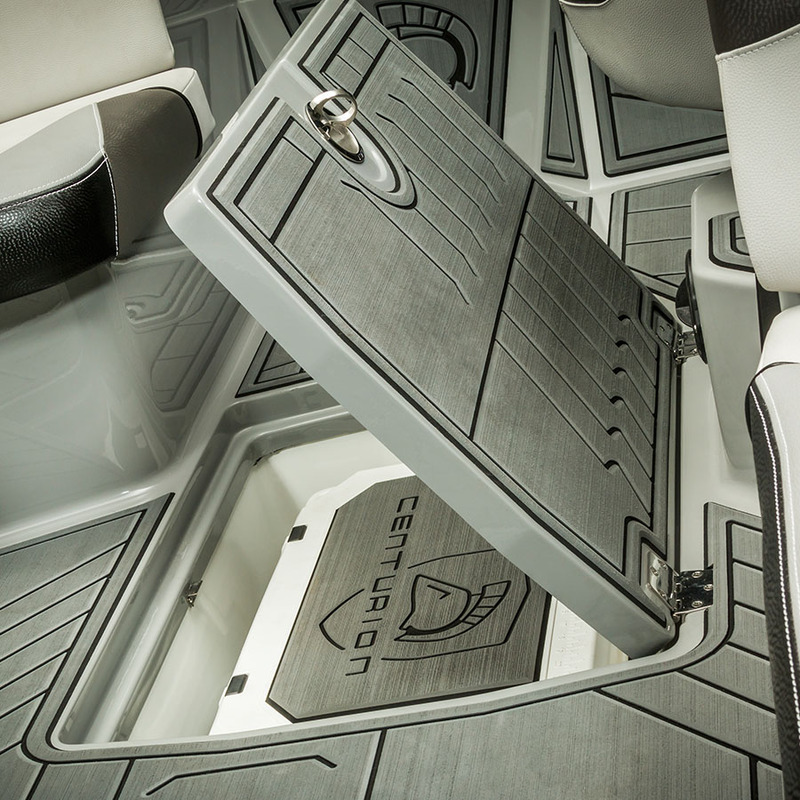 The reverse-shoebox allows the top deck to push out and increase the rigidity of the hull, significantly reducing flex from any exterior impact (including rough water). 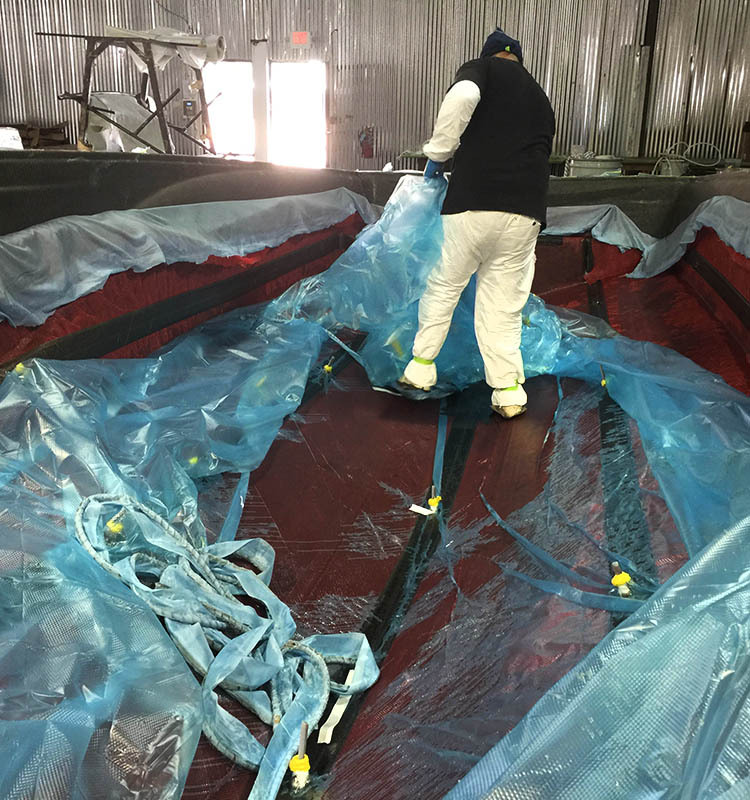 This connection is significantly stronger than a standard typical shoebox connection and eliminates any possibility of leakage along seams. 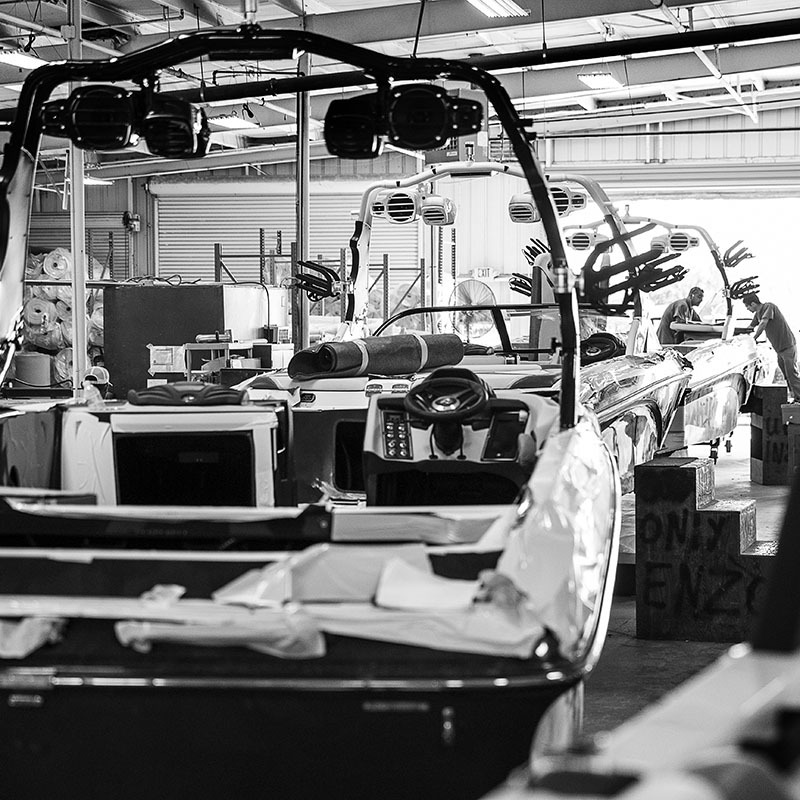 Unlike other boats, the rivets you see along the rub rail are for aesthetics only as the top and bottom of the boat are a single unified piece. 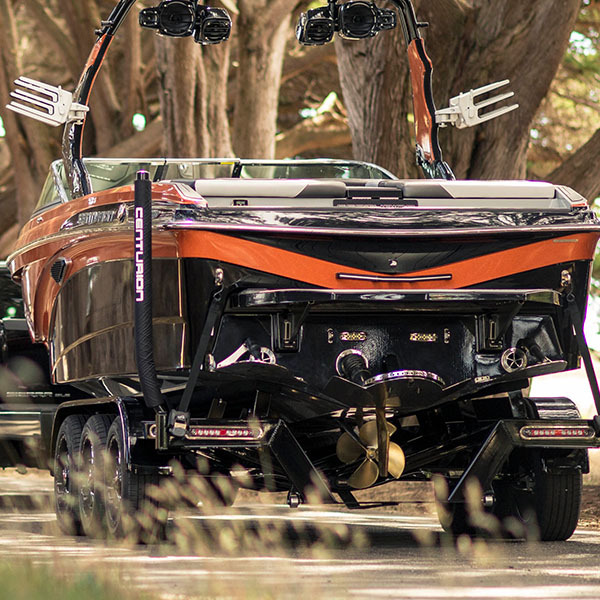 Let’s face it, unless you happen to be one of the lucky few who have a boat lift (which in this region is more than rare), unfortunately your boat spends most of its time hanging out on the trailer. 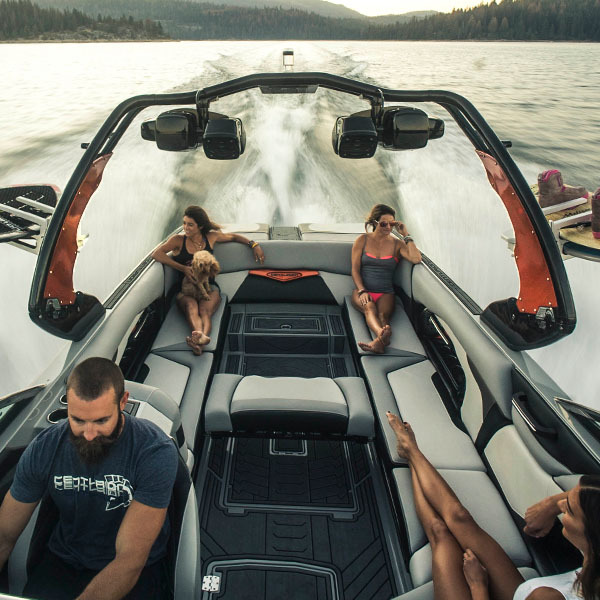 Although often overlooked when considering which boat to spend your summers on, the little things (or not so little) like the trailer is what sets Centurion and Supreme apart. 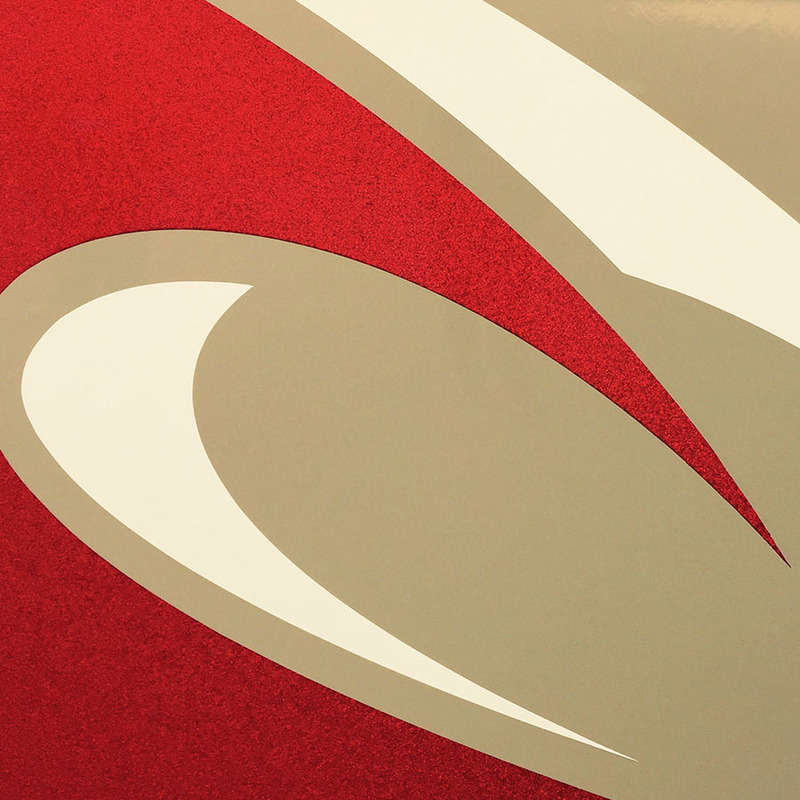 Sure, we could have a cheap single axle trailer with fiberglass fenders and plastic components then fancy it up with some hip wheel colors to hopefully distract you from the lack of quality – but we don’t. 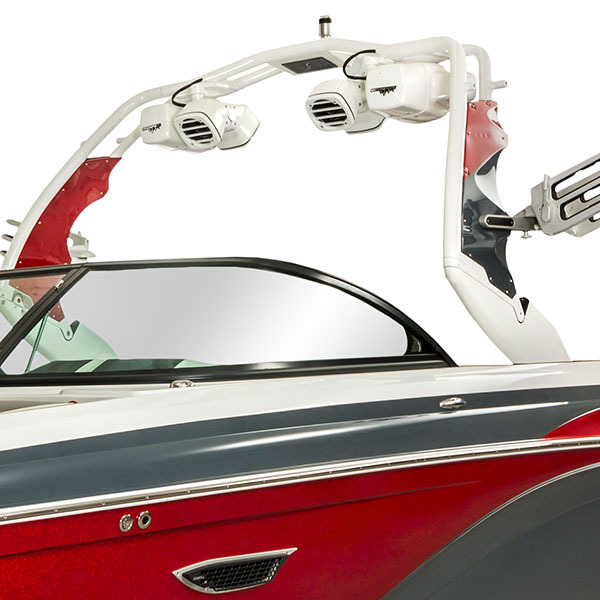 All Centurion and Supreme boats feature tandem or triple axle trailers, the standard of excellence in the towboat market. 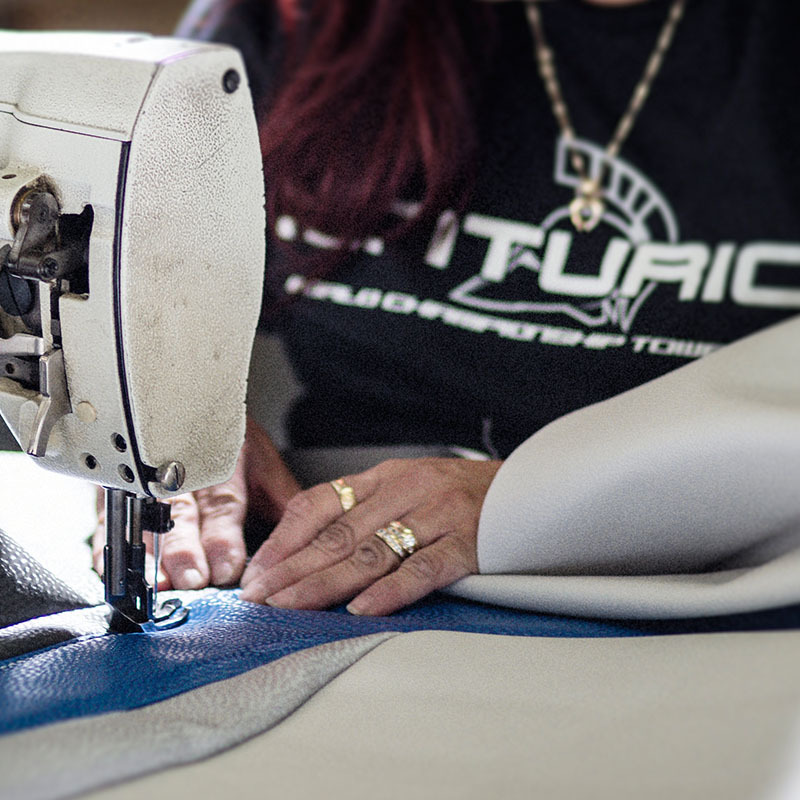 Every Centurion and Supreme trailer comes backed with, not only a full 5-Year Warranty, but also a full 5-Year 24 hour roadside assistance program at no additional charge and with no hidden fees or enrollments.